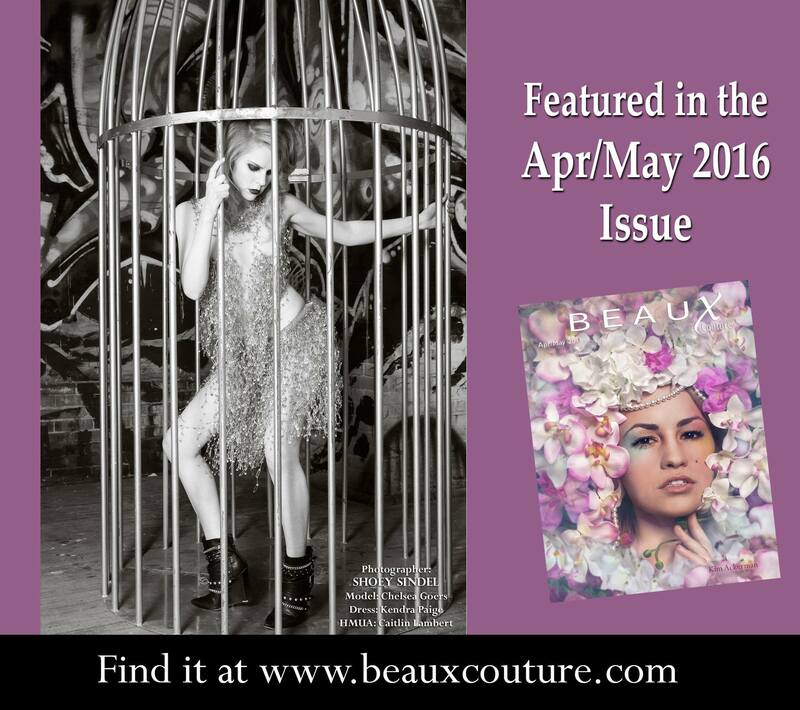 I am thrilled to announce that one of my fashion portraits is published in the April/May issue of Beaux Couture Magazine. Last month, while I was at the Shutterfest Conference in St. Louis, I attended a special fashion photography event curated by Kendra Paige of SM Conceptual. Kim Terhark Ackerman, owner of Vogue Studio and publisher of the magazine, liked this photo and featured it in the April/May 2016 Issue with a full page spread. The super-model in this image is Chelsea Goers who is very expressive and fluid in her movements. The one-of-a-kind dress, made entirely out of safety pins, was designed and created by Kendra Paige. Hair/Makeup Artist: was the talented Caitlin Lambert. The photo/model event featured about 20 models, high-end hair and makeup artists and body painters Otto Ott of Skin Wars fame, Deidre Rosenberger and Allen Rosenberger. In future blog posts I will include some additional shots from the evening. Check you this very cool video of the event by Nik Adams…watch until the very end to see someone special!